Ted Quinn is the director of coaches programs at the Nations of Coaches. Prior to that Ted had spent seventeen seasons on the sidelines. A coaching career that saw him serve at Wakonda High School(SD), Mount Marty College(SD), Graceland Univerisity(IA) and Nyack College(NY). In addition to his coaching career, Quinn has also served as an Executive Board Member of the National Association of Basketball Coaches(NABC) Ministry Team and an Advisory Board Member of Nations of Coaches. He and his wife Jackie have been married for eighteen years and are the proud parents of ten-year-old daughter Jenna and seven-year-old son Kellen. The biggest jump from losing to winning is improving the culture within your locker room and around your program. Then – prioritize building relationships with your players. Get to know them before getting to know their game. Ted values the relationships with his players. He even had the opportunity to be the minister who led the ceremony for one of his player’s marriages. A player you invest in becomes a son or daughter to you. Tony Bennett at Virginia – The simplicity of their defense is their key. They just have a few rules and they don’t bend on those rules. Book: A Lifetime of observations and reflection off and on the court by John Wooden and Steve Jamison. Established in 1995, Upward Sports is the world’s largest Christian youth sports provider. Approximately 100,000 leaders and coaches deliver Upward Sports programming to half a million young athletes around the country. Upward Sports promotes the discovery of Jesus through sports, by providing a fun, encouraging environment in which young athletes can learn technical skills and a love of the game. 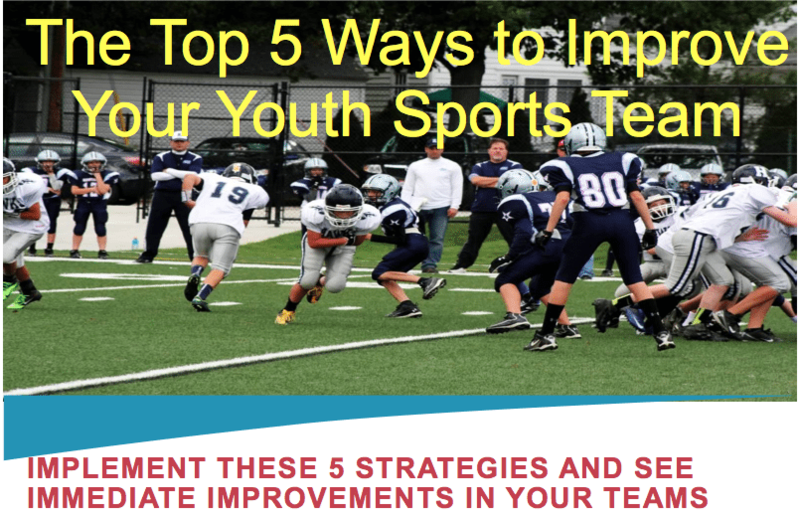 We use sports like basketball, volleyball, soccer and flag football to help young athletes develop mentally, athletically, spiritually, and socially. We are about the whole athlete—that’s our 360 Progression. This entry was posted in Podcasts and tagged in Aspen Institute, athlete, baseball, basketball, building culture, Caz McCaslin, championship culture, Changing the Game Project, changingthegameproject.com, cheerleading, coach, Coaching, coaching podcast, coaching your own child, coaching your own kid, coaching youth, coaching youth sports, culture, dad, dad coach, daughter, ESPN, football, growth mindset, gymnastics, hockey, iYouthFootball, iYouthFootball.com, John O’Sullivan, lacrosse, mental toughness, mental toughness kids, mlb, mom, mom coach, national alliance youth sports, Nations of Coaches, nationsofcoaches.com, nays, NBA, NFL, Parenting, pca, peak performance, podcast, podcasts, positive coaching, Positive Coaching Alliance, positive culture, Project Play, Scott Hearon, soccer, softball, son, sports, sports parent, sports podcast, sports psychology, sports specialization, swimming, team culture, TeamSnap, Ted Quinn, Upward Sports, Upward Stars, volleyball, winning, Winning Youth Coaching, Winning Youth Football, youth, youth coaching, youth sports, youth sports podcast.